From humble beginnings in 2003, the Secret Garden Party’s appeal has grown organically throughout its 11-year tenure; its ethos of fun, friendliness, creativity and participation connecting to a new generation of festival goers who are seeking that magical immersive experience albeit for a short while. Inspired by the original ethos of Glastonbury and Burning Man, the Secret Garden Party’s founder Head Gardener, aka Fred Fellowes, has succeeded in placing his own particular and idiosyncratic stamp on this very special event, making it quite unlike anywhere else in existence. His vision, commitment and enthusiasm to bringing artistic communities together has been, and continues to be, a labour of love. With many awards under its belt since inception this achievement has been recognised by the live event industry and public alike. Music is clearly an integral part of Secret Garden Party, and with over 14 music stages covering the 100-acre site. It is not only a venue for well-known artists but is committed to nurturing new and upcoming artists, giving them a break long before they become household names; names such as Jake Bugg, London Grammar, and Lily Allen. 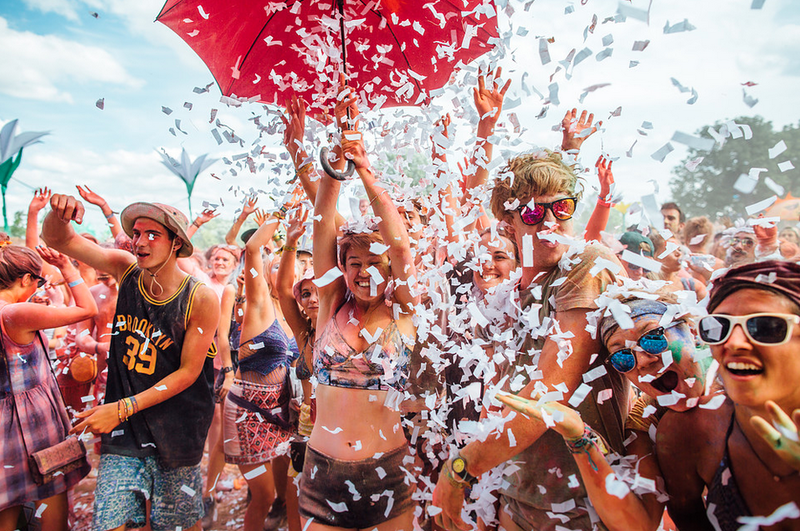 The Secret Garden Party is also a theatre for all the arts and the interaction of genres. As with any big event team work is key and over the years Fred has facilitated and encouraged the initiation of so many creative collectives as well as music programmers: The Secret Forum debating area, Bearded Kittens, Little Gay Brother, Dance-off... All of these partners have gone on to participate in other events or indeed create their own stand-alone events and are proving to be very successful. 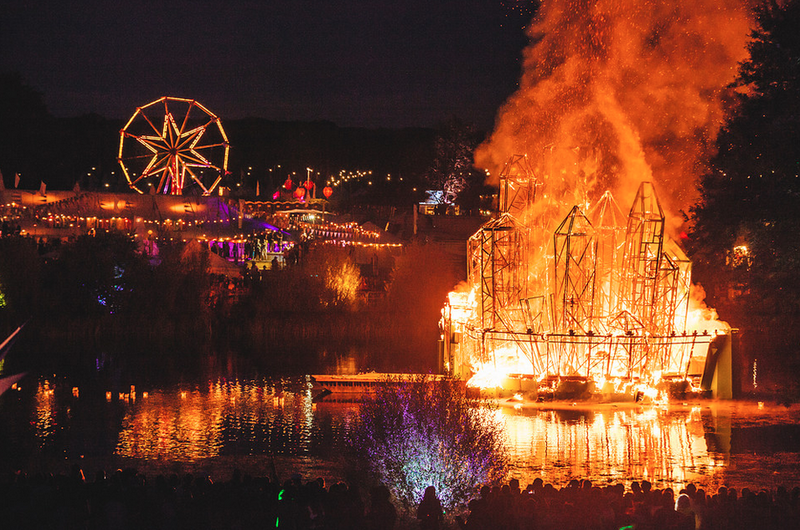 After a 4-year partnership with Secret Productions (2009-2013), who have since gone on to establish Wilderness Festival, he decided the time was right to end the partnership and take back full control at the SGP helm. So from 2014 onwards his focus has been on rejuvenating and developing SGP for the future. Part of this vision is to bring in new ideas; new people who have something amazing to contribute to making the Secret Garden Party the best it can be. One of those contributors is Lisson Gallery’s art comms head Michelangelo Bendandi, who has in turn introduced several renowned artists such as the Scottish installation artist Robert Montgomery - his beautiful anti-capitalist artworks use poetry to reflect our collective consciousness. Fred has also introduced a new visual production team to raise the bar for the infamous Saturday Night Spectacular - 2014 featured stunning water-based holograms and aerial displays of LED ‘falling stars’ from Newsubstance and R5 Air Displays – never before seen in the UK. Plans are now underway to make 2015’s Installations and Spectacular even more remarkable. 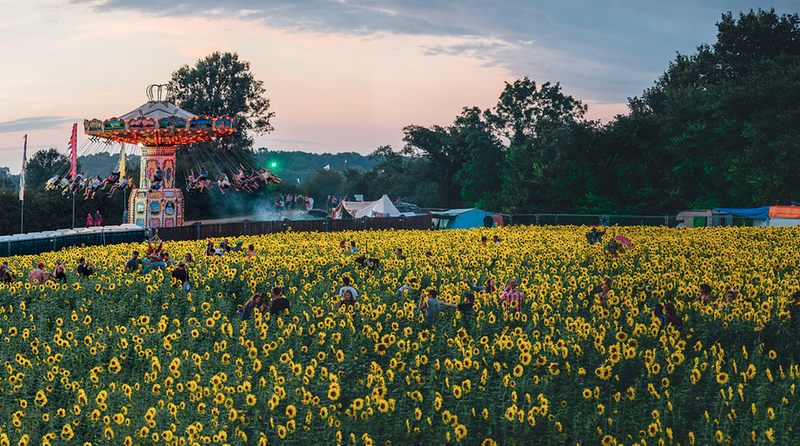 And, wanting to highlight with visual impact the reality of the site being a living breathing space the Sunflower Field, accessed through the Narnia-like door of a port-a-loo, was one of the most popular and uplifting installations on site. So, even though it may not be a secret any more, one thing is certain, the Secret Garden Party will be the party of the summer... this is a Serious Party!